Today, 27th March, marks fifty years since the death of physician, author and lecturer Karl König. Throughout his career, he has written on a wide range of subjects from anthroposophy and Christology, through social questions and curative education, to science and history. Floris Books publish many of his writings in the Karl König archive. Karl König was born on September 25th 1902 in Vienna, Austria, the only son of a Jewish family who owned a shoeshop. He studied zoology, biology and medicine at the University of Vienna, graduating in 1927. During König’s studies on embryology, he encountered the works of Rudolf Steiner through Goethe’s scientific writings. König immediately identified with Steiner and was soon acquainted with a number of his followers, including Ita Wegman. Upon graduation, König was offered several high-profile positions in Vienna but instead accepted an invitation from Ita Wegman to join her clinic in Arlesheim, Switzerland. König’s time at the Clinic would shape the Camphill movement. It was here that he met his wife and co-founder, Tilla Maasberg, and it was here that he first witnessed the Advent Garden. During this festival, where children with learning disabilities circle a spiral of moss, lighting a candle from a large central beacon, he promised to ‘dedicate my life to the care and education of these children’. Following his time at Arlesheim, König moved to Germany and was involved in founding the Pilgramshain Institute – one of the early curative educational centres based on anthroposophy. However, due to political pressure König was forced to leave Germany in 1936. 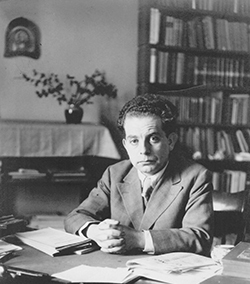 He returned to Vienna where he ran a successful medical practice and led anthroposophical study groups until 1938. Fleeing Austria after Nazi annexation in 1938, König was part of a small group of doctors, teachers and artists to be granted political asylum in the United Kingdom during 1939. König moved to Aberdeenshire, Scotland, where this group founded a home for children with learning disabilities that became the beginning of the Camphill movement. After the Second World War, more schools were founded as well as curative education villages for adults with disabilities, based on the ideal of working together as a community. In the following decades, König’s Aberdeenshire community grew and expanded into Britain, Europe and America, becoming the Camphill movement we recognise today. During this period, König worked tirelessly to help children and adults with special needs through publications, talks and seminars – and by founding communities the world over. Karl König returned to Germany in 1964, founding another community near Überlingen. He died there in 1966. Today, the Camphill movement he established includes more than 100 communities in over 20 different countries. Floris Books have now published fifteen titles in the Karl König Archive. See a full list.